Happy Friday Everyone! As you are reading this I am on my way to London on the train with my partner in crime Butwhymummywhy for the MAD Blog Awards. I don’t think I have ever been so nervous and excited in my life. It’s like the first day of school when I was a kid not knowing what to expect but excited to see so many great friends and have a child free night. (oops did I say that last one out loud). It’s time for this week’s #littleloves! It’s been a great week getting back to our normal routines without jetlag or colds and back in the kitchen with my camera ready! 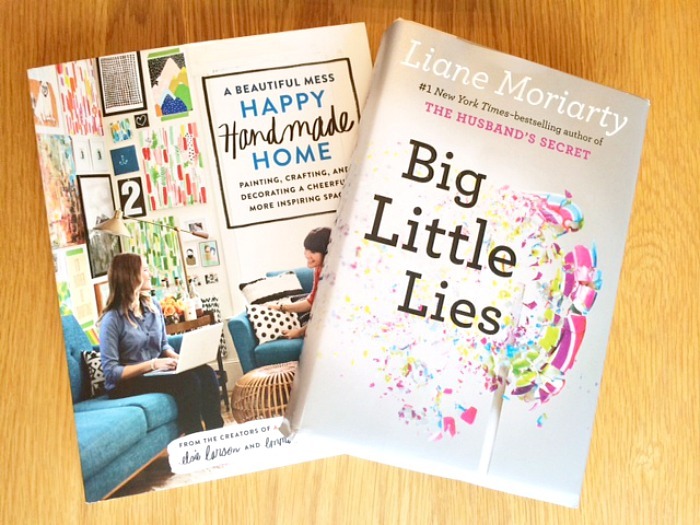 They have finally arrived after weeks of waiting on my preordered Happy Handmade Home by A Beautiful Mess and my new book Big Little Lies that I saw in America and can’t wait to get stuck in. I have been listening to Florida Georgia Line for months now and I am sure you all are so sick of all my country and FGL but if you don’t like the music at least they are “nice” to look at in this video! hahaha Enjoy! I have a guilty pleasure and if you know me long you will know my house never has english tv on but there is one show that tickles me with entertainment and that’s Made in Chelsea. I don’t know what it is about it but I am “secretly” hooked. This season they are in my homeland which made me want to nosier even more. I had them all recorded as it started before I returned to the UK and I am sad to say I sat and watched them all back to back, late one night when Mr P was still on his golf trip. I think I am all caught up now and wow what an adventure New York City must have been for them. I will be adorning this beauty on my shoulder for my overnight stay in London. I bought it in a little corky shop in the Seattle Airport on my way home this summer. 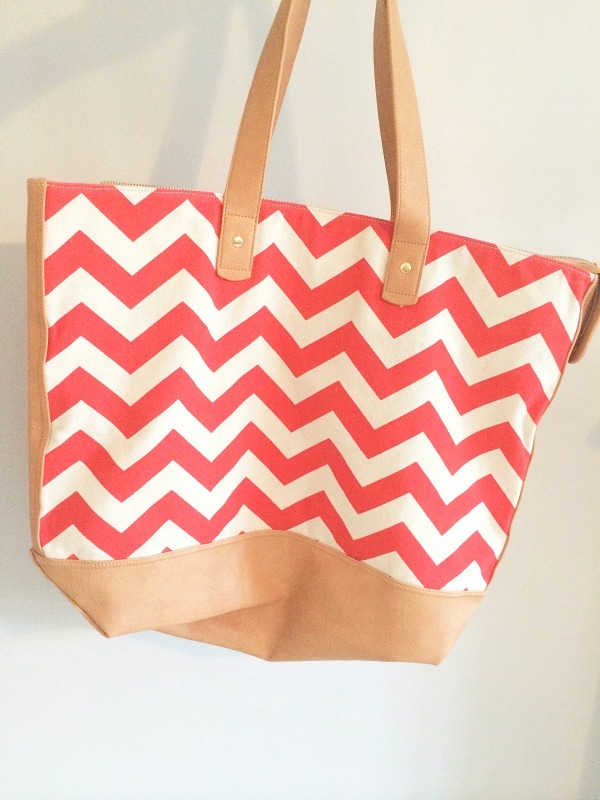 It’s the perfect size for one or two night stay somewhere and I absolutely fell in love with the coral color and chevron design! I also thought I would share with you my outfit for the MAD Blog Awards ceremony tonight. I have no idea what to expect or what is acceptable to wear but it was an old favorite from my closet and I don’t get out much these days so I thought I would go all out for the special occasion! I was so happy to get back in the kitchen with my cooking and my camera. I have taken the summer off but if I don’t practice I won’t get better. 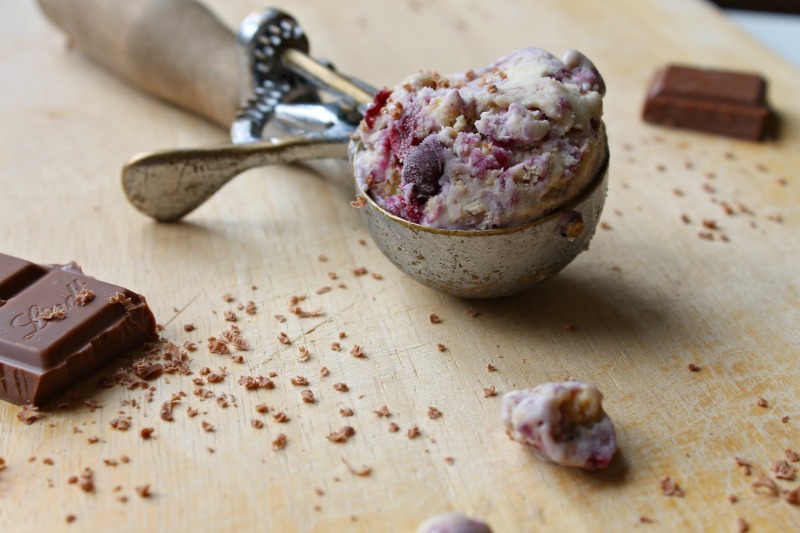 Here I share with you one of my favorite photos and my recipe for the easiest homemade Blackcurrant Cheesecake Ice Cream ever. A new favorite of ours, I used to make it with strawberries or cherries but randomly the store was out of both pie fillings and I decided to try blackcurrant and I don’t think I will ever go back! It’s to die for! I have some exciting news that I have now jumped into the world of vlogging! Yes, I know just another thing I am challenging myself to learn and tackle. I was always going to start vlogging and actually was going to do it before I did blogging but I was nervous and couldn’t get over the horrible sound of my voice. But I chose the name “Let’s Talk Mommy” for a reason that it would someday be like a talk show on my YouTube channel and maybe even far in the future be a show itself! Who knows! Let’s start with baby steps though. I have done my introduction, the tots introduction and even shared a quick video on what I am wearing to the MADs. I hope you will check out my channel here and let me know what you think? Any advice and/or requested of what you would like to see on my new vlogging journey, please comment below. Thanks hunny you are so sweet. Oh dear be prepared for a laugh. Your photography is beautiful. The ice cream looks amazing! Thank you so much lovely. You are too sweet. I love food styling and food photography so means a lot. Thank you so much. MADS were ok I lost twice but my two friends won so proud of them and many more. Oh no, please beware of my vlog. hahaha I am just starting and I sound awful. But I really do love it. lol Thank you for your lovely comment hunny. Enjoy my youtube. Should have a new one up tomorrow!